Creating a stylish and consistent brand that connects with your ideal audience can be overwhelming if you don't know where to start. What can be even harder is communicating that brand across several social media channels. A good rule of thumb to follow when introducing the use of different social media channels to your brand is to be familiar with them all, but to only focus on and use two. I'm all for claiming your name as a handle on all social media channels, but using them all as a solopreneur will lead to burnout. Your brand may even begin to seem a bit diluted if you're on too many channels. Instead of spreading yourself or your brand too thin, pick two channels and become an expert at them. Once you've conquered two, then feel free to add another. I am currently loving Instagram and Snapchat and those are the channels that my ideal audience can find and interact with me and my brand. 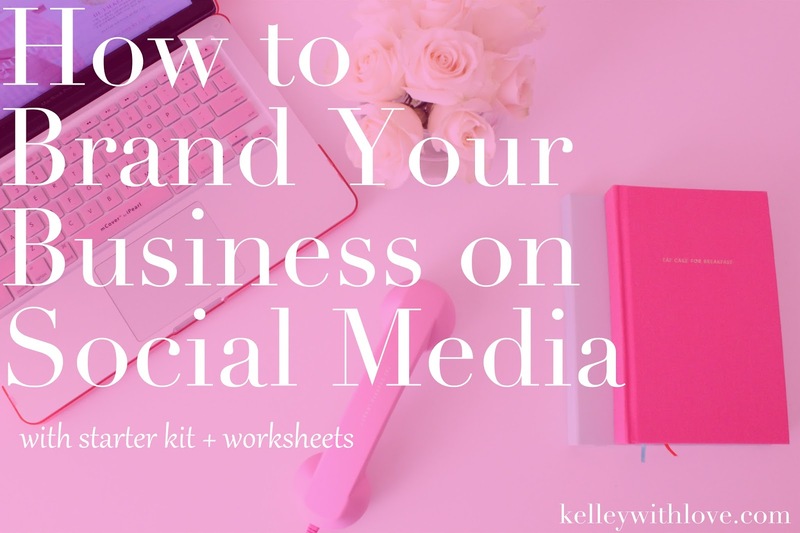 I've put together a How to Brand Your Business on Social Media Starter Kit to help you find the best way to brand your business on social media. In this starter kit you'll find out 3 Strategies For an Irresistible Instagram. You'll learn How to Create a Microblog on Instagram. I'll provide you with an Instagram Editorial Calendar and show you how to use it. You'll get the courage to jump in to latest "big thing" in social media and learn How to Brand Your Business on Snapchat. Finally, learn How to Style Your Instagram Photos and keep your Instagram flawless! Check out the full list of resources below. And....for an added bonus I've also included the Brand Your Blog Starter Kit. What has been your biggest roadblock when it comes to branding your business on social media?